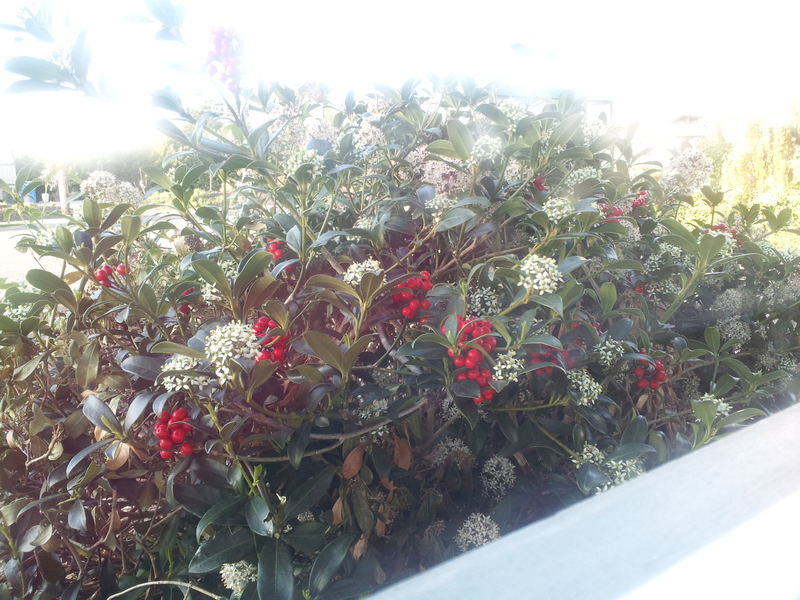 That is a skimmia. They are beautiful. Holly flowers are smaller, and most won’t be flowering and showing berries at the same time. We just planted a holly and it’s so pretty. They last right through the winter too. That’s beautiful! I found it on the web, it’s called Skimmia.